Did you know asbestos can contaminate soil? Most people don’t realize this, but asbestos cement material can spread and contaminate soil and ground if they’re not managed properly. If you have reason to suspect that there is asbestos underground, call for asbestos removal Perth. The contamination may occur in a variety of ways. You could be looking at a case of poor construction, which causes the fibres to get into the ground. Handling is also a major issue since poor management of the sheets can cause them to break. In some cases, demolition, disposal, and dumping can cause further contamination. Where would the asbestos come from? After all, it has to get into the ground somehow. Cement sheets are the most likely source, of course. They were used so much in construction that it seemed like it was impossible to see a house that didn’t have any. However, it is not the only possible source. Pieces and fragments of it may also be found just beneath the surface. This will usually be due to damaged pipes that had an asbestos lining. Stumps of asbestos fencing can also be a source. Who would this contamination be an issue for, anyway? Well, it’s an issue for a lot of people. Anyone that finds it on their property is responsible for getting rid of it properly. If they’re concerned about it in public areas, it can also be a concern. Finally, people that are looking to purchase a property might want to get it inspected and certified. If they find out there’s ground asbestos, that is definitely a good reason to negotiate or back out. In terms of precautions, there is a number that people should take. If there is even a suspicion of contamination in the soil, it is safer o assume that there is until definitive evidence otherwise is found. The first thing to do is to call for a laboratory analysis of the suspected material. 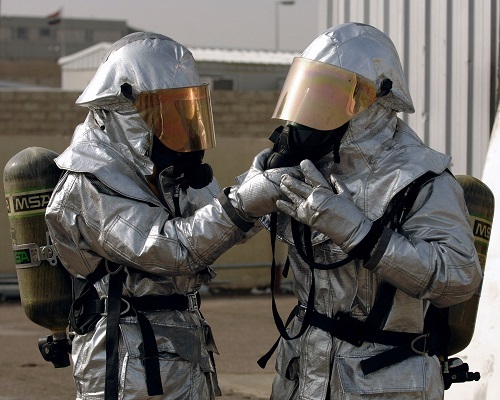 When you have an asbestos problem in the ground, be sure to get professionals to collect it. They have access to the heavy-duty plastic containers and equipment needed to collect and transport the fibres. These can only be disposed of in a designated, licensed asbestos collection point or facility. No, you can’t just dump it anywhere. It has to be at a designated point, where it can be disposed of properly. Anywhere else will either risk contamination or not accept it.